I wasn’t going to tell anyone. But I have to get it out there! I am not a big lotto player. As a matter of fact, the day I played, and won, was the first time I had ever played. Why wouldn’t I spend $10 for a chance at BILLIONS? When I walked into the store to buy the ticket I KNEW I was going to win. Like, I felt it in ever fiber of my being. I even made a list of what I was going to do with the winnings on my phone. All day long, I felt this excitement throughout my entire body. I went to book club that night as if nothing big was about to happen. As if I wasn’t about to be the winner of billions of dollars, yet inside, I was shaking I was so excited. I am serious. I KNEW. When I got to my car, after book club, the winning numbers had been posted already, but wouldn’t load on my phone and I thought- that is probably a good thing. I surely wouldn’t be able to drive home after seeing my winning numbers! So I drove home and I promise you, I was laughing and grinning and so excited the whole drive home. I pictured myself walking in the front door crying and screaming that we won the lotto (I hadn’t even told the hubs I played as I wanted to surprise him!). I played out all kinds of scenarios and I was literally bursting with joy and enthusiasm. If I would have been pulled over, I would have been the crazy lady that won the lotto and couldn’t drive, talk or think! And I didn’t even drink at book club because of an agreement the hubs and I made (that is another post), so it wasn’t alcohol infecting me- I was just so damn excited because I KNEW I had won! I pulled into my driveway, yanked out my phone, sent a thankful prayer up (as I had been doing all day) and loaded the winning numbers! 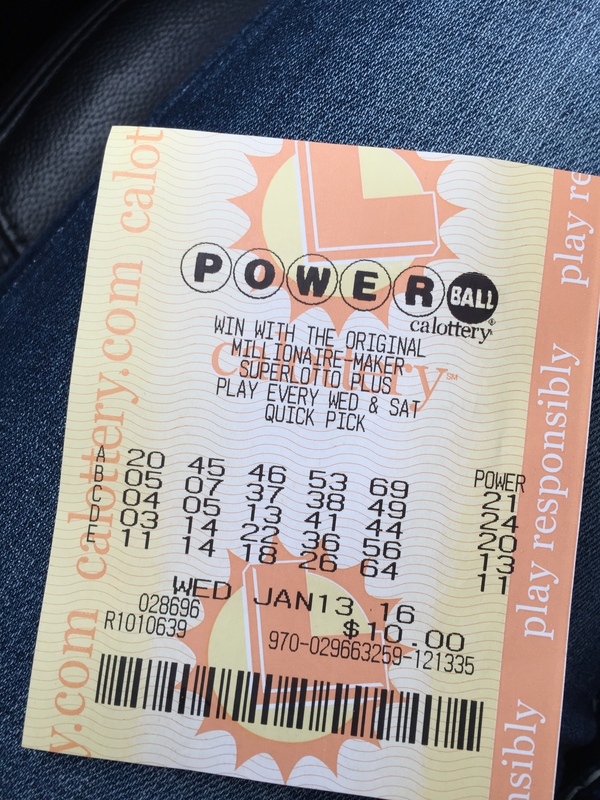 Ok, so I didn’t win the Powerball, or the billions. But do you know, as I sat in my car searching, comparing numbers and just KNOWING that I had won, I suddenly realized I had won. Yes, in that cheesy way of knowing that all my winnings were in front of me. Literally. As I lifted my head from my phone and stared at my beautiful home that my husband and I worked toward for four years (moving and selling things from Dallas to move to Southern California), and my amazing family that was inside waiting for me, loving me. My dedicated son, in the Air Force, with his incredibly beautiful and supportive wife that currently only live 6 hours away and doing wonderfully. All my ‘winnings’ (aka blessings) were here. Now. In front of me. I HAD WON THE LOTTO ALREADY! It is so easy, for any of us, to yearn for what we don’t have (and please…don’t get me wrong, I would be ECSTATIC if I won billions and already have it spent! ), and it is ok to desire more…so long as we realize the beautiful, wonderful, exciting things we currently have. I am so grateful I had an entire day of being so excited about winning. I swear, all day long I knew I had won, and it was an incredible day of joy, enthusiasm, explosive interactions and amazing things transpired all throughout the day because of the incredible energy I was carrying with me. 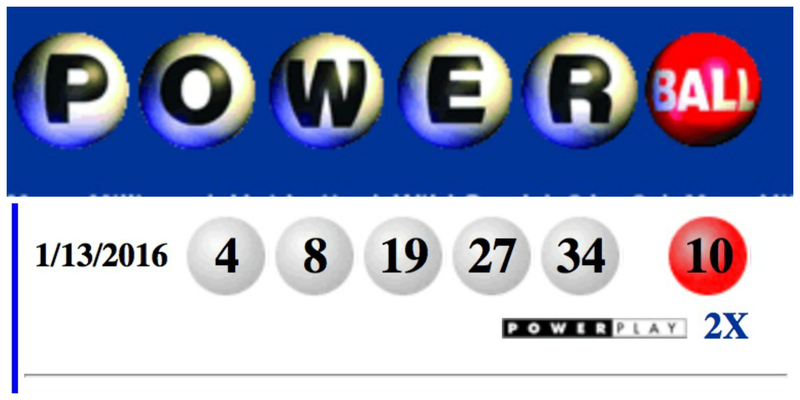 It was powerful (powerball…powerful…hmmmm). I wonder what would happen if I carried that energy with me everyday?! Take a few moments today and stop and think about all the ‘winnings’ (blessings) you currently have in your life. No matter what season you are in. No matter what is happening in your marriage, your friendships, your job, your family…there are blessings there. When we focus on those blessings, when we carry that excitement around with us, seriously powerful things happen. Change happens. In US…and that is where the magic is. When change happens in US, change happens all around us. Here is to the lotto! And to the many blessings you, me, and we have in our lives!